I spent the two weeks before Christmas at work. Work for me means getting on a plane and being away for 14 days and nights. I live in what basically equates a very cushy jail cell, and long days leave me little time for anything but work and sleep. On this last rotation I brought up some supplies and made cards! 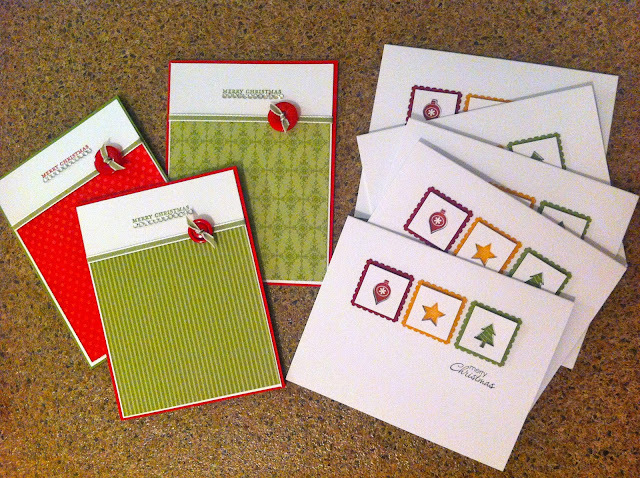 Here's some of the Christmas cards I made, I finished a total of about 35 in a couple of evenings. I'll share some more on my super easy, super cheap way to make a ton of cards anywhere with limited space and supplies (including stuff that you can carry on in your hand luggage), but it'll wait until after Christmas. Merry Christmas and have a happy and safe new year! As I'm flying through the house, I wanted to share a few of my recent projects. Because I work away from home (like really away, it takes me two flights to get there) and I'll be working right up until Christmas, I had to get a lot of my gifts and cards done a head of time. 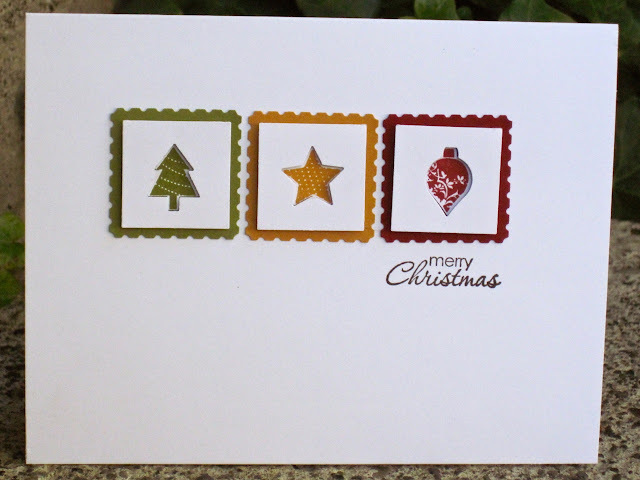 I finally busted open my pack of Candlelight Christmas DSP (links to buy all this stuff will be at the bottom of the post) and made up a card and two little gift boxes for two very special girls. Mom and dad got presents too, but I didn't go all out on wrapping them, I'll show the actual gifts after Christmas. 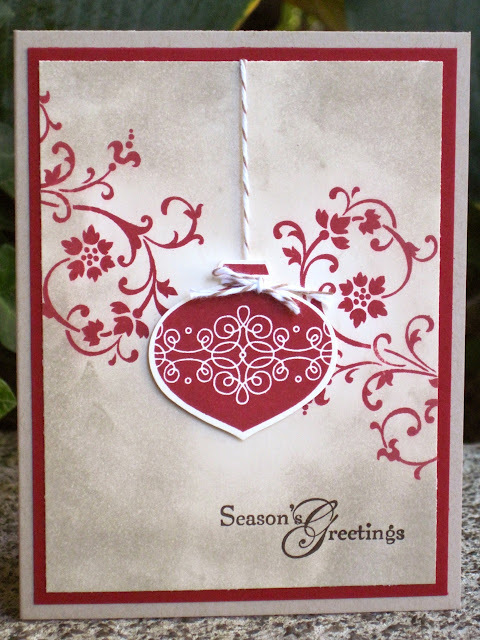 For the card I used the flocked window sheet and one of the patterned papers from the Candlelight Christmas DSP pack, as well as Very Vanilla and Early Espresso card stock. 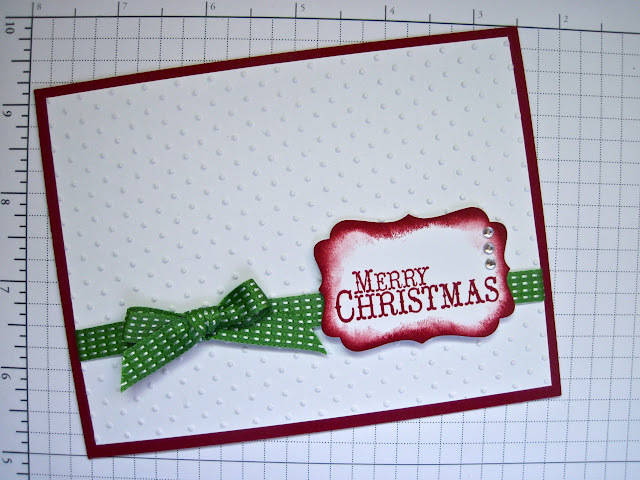 I stamped using the Delightful Dozen stamp set on the card and Merry and Type set on the envelope, both in Cherry Cobbler. I also used Cherry Cobbler seam binding, Crochet Trim and pearls to add a finishing touch. 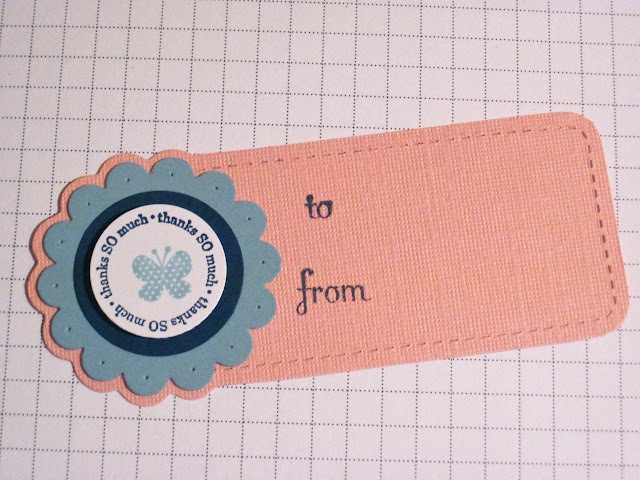 the sentiment on the card is punched with the Decorative Label punch, which is one of my all time favorites. Last but not least I put together some goodie bags for a workshop this weekend (actually another Christmas Card Buffet). I used more of the Candlelight Christmas DSP to cover a journal (also using pearls, Crochet Trim and the Modern Label punch, my other favorite), a chocolate bar (tied with more of the Old Olive ribbon), a york patty wrapped in a cut out from the Two Tags die, and another rosette ornament. 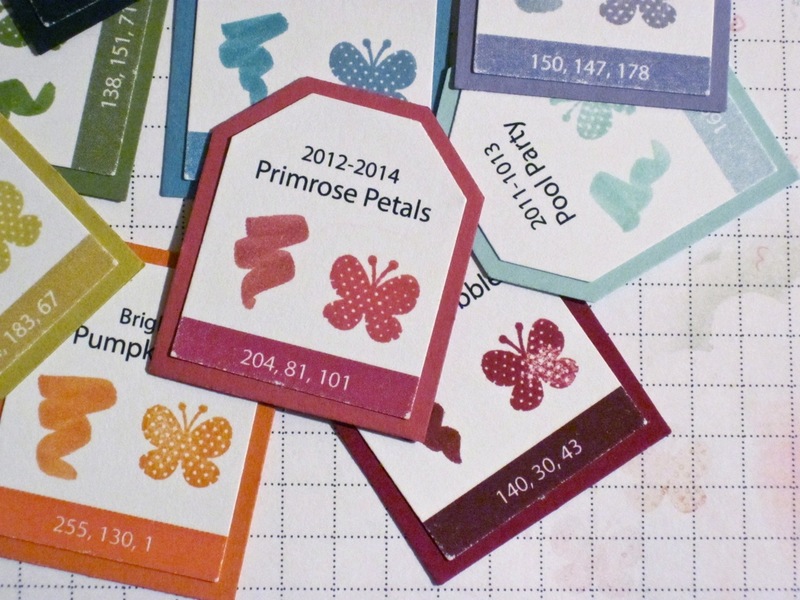 Throw in a small stamp and some adhesive and my goodie bags were set to go! To buy any of the tools and materials shown in these projects, click here! The Candlelight Christmas suite is amazing for all kinds of cards and other projects, and will only be available until January 2nd! This weekend was fantastic! I took part in the annual Campbell River Toy and Craft Show, met a ton of awesome people and sold some of my cards, tags and other paper goodies. 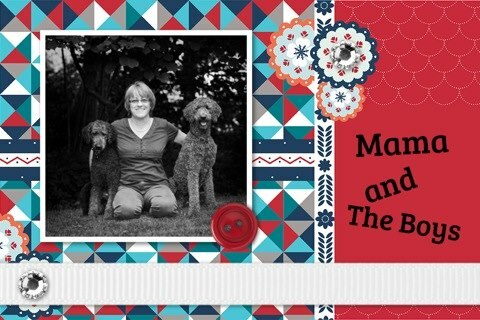 If you're finding this blog because you picked up my card at the show, welcome! There's some information for you at the bottom of the post! I do still have some goodies left over (everything except the bookmarks), so if you're interested, drop me a line and I can deliver or ship some too you! If you're new to my blog, welcome! I know I spoke to a lot of you over the weekend, and many of you were interested in buying Stampin Up products and/or having workshops. You can check out my online store here, don't forget the Online Extravaganza sale is on until Wednesday! If you're interested in having a workshop, or would like to place an order in person, you can email me. I can do workshops for nearly any sized group (including one on one) and for any occasion. Some of the favorites in the past have been my Christmas Card Buffet, kids workshops and a fabulous way to make 24 cards from one sheet of Designer Series Paper! 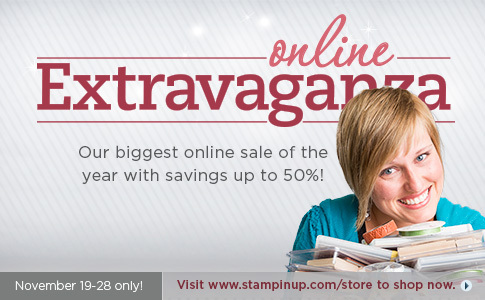 From November 19 - 28, Stampin Up is doing a HUGE sale, up to 50% off some of their great products. On the 19th only you can also get a great deal on a Big Shot or the Simply Scored Diagonal plate, and on the 28th Clear Block bundles and storage solutions are on sale. 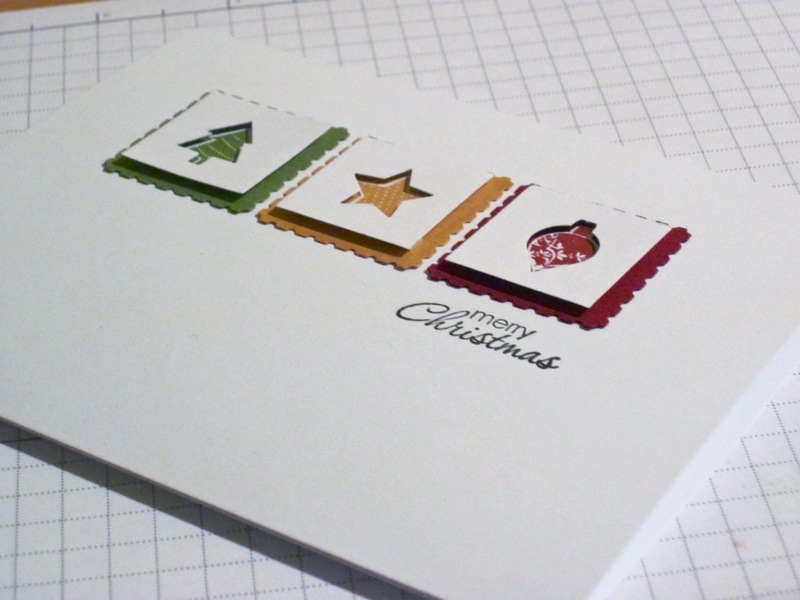 For the full sale, there are TONS of stamp sets on for 20-50% off, you can even get My Digital Studio for 50% off! Contact me if you have any questions, and click on the link above or here to place an order! Stampin Up is also doing a trial with Sizzix' Texture Boutique Embossing Machine. While supplies last, you can buy this little cutie for only $36.95. 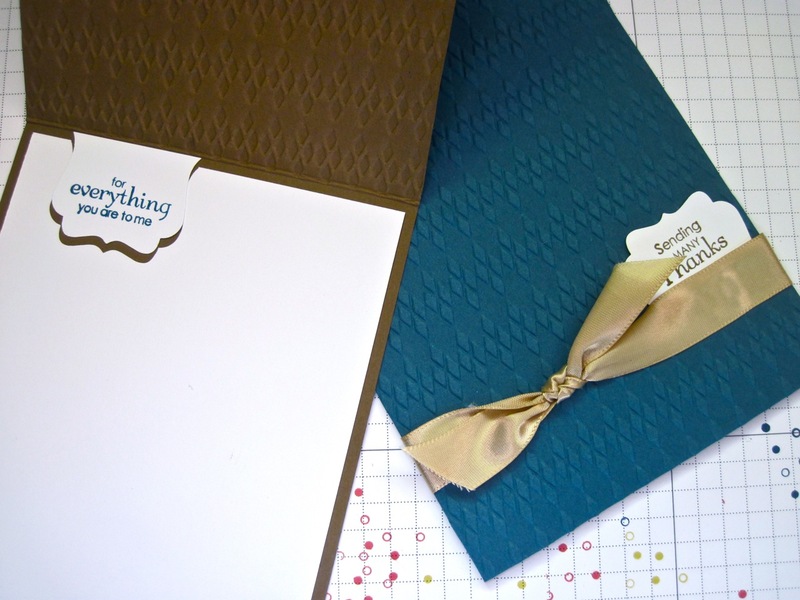 It takes the same embossing folders as the Big Shot, for a fraction of the price! 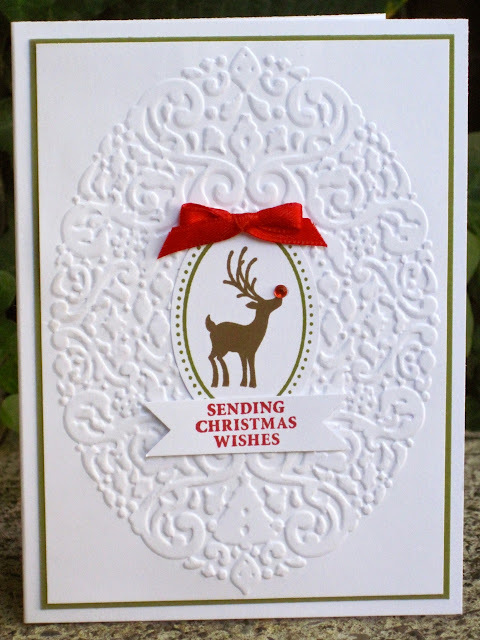 You can't die cut with it, but it's a great alternative for embossing. 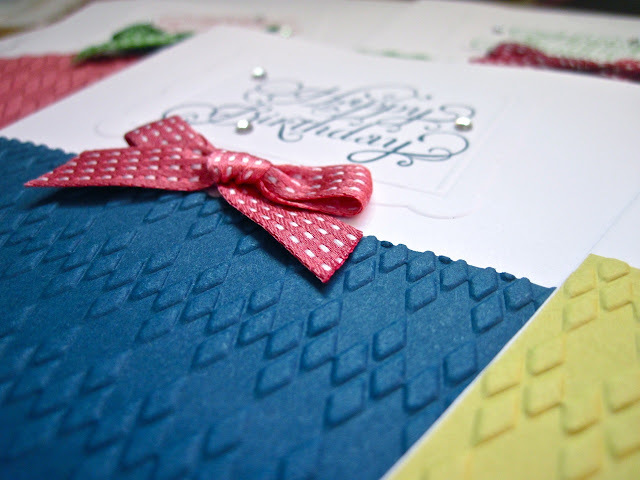 You can also get it as a bundle with the Flower Garden and Stripes embossing folders for $45.95. Once again, you can contact me or shop online! 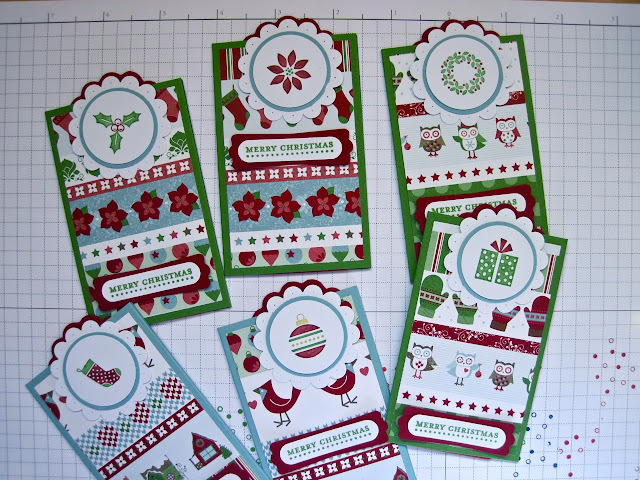 Last but not least, until December 16, you can still get a set of 10 ink pads for free! 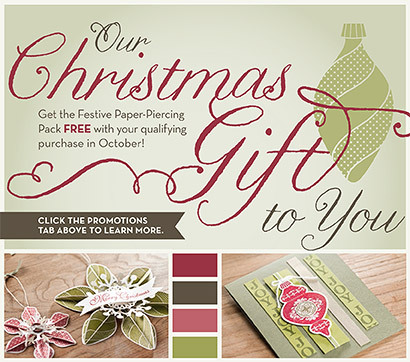 You can either host a party with a minimum of $575 in sales or sign up to become a demonstrator before then and you can pick from the Subtles, Regals or Brights collection, each worth $64.95. This one is only available through me, so contact me if you're interested in getting some free ink pads! 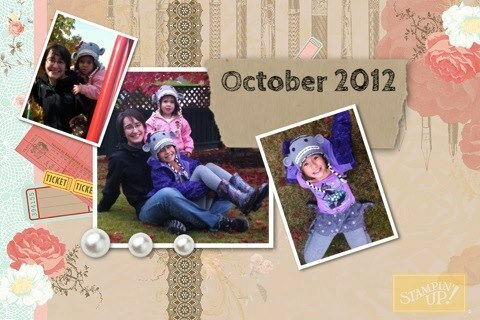 I just wanted to make a quick blog post to introduce you to one of the amazing women in my life. Melissa was a client when I first started my first business years and years and a few children ago. We've stayed friends through many moves, life events big and small, and now she's joined me in my passion for paper crafting! 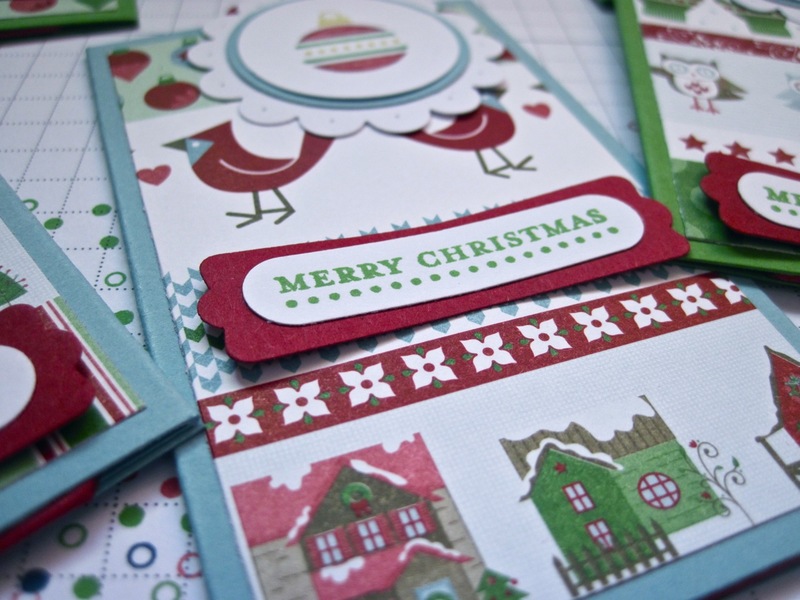 Melissa signed up to be an independent demonstrator with Stampin Up to get a discount on stamps, ink and other supplies so she can craft with her kids. 20% off goes a long way when you have six mouths to feed and twelve hands to keep busy! Your starter kit is $125, which you don't pay taxes or shipping on, and you get to pick $155 worth of product of your choice! You will get 20% off all your orders, with the potential for more depending on how much you spend. You will get access to a huge network of demonstrators all over the world, training from Stampin Up on everything from crafting techniques to making sales, and an inspirational magazine just for demonstrators (you can see a preview here). There's NO obligation to sell or buy anything, you will get your 20% discount until at least March 31, 2013. If you purchase more than $400 worth of product before then, you'll extend your discount for another quarter. Until December 16, you will also get a set of ink pads for free! You can pick from the Regals, Subtles or Brights collection, each with ten pads, worth $64.95. 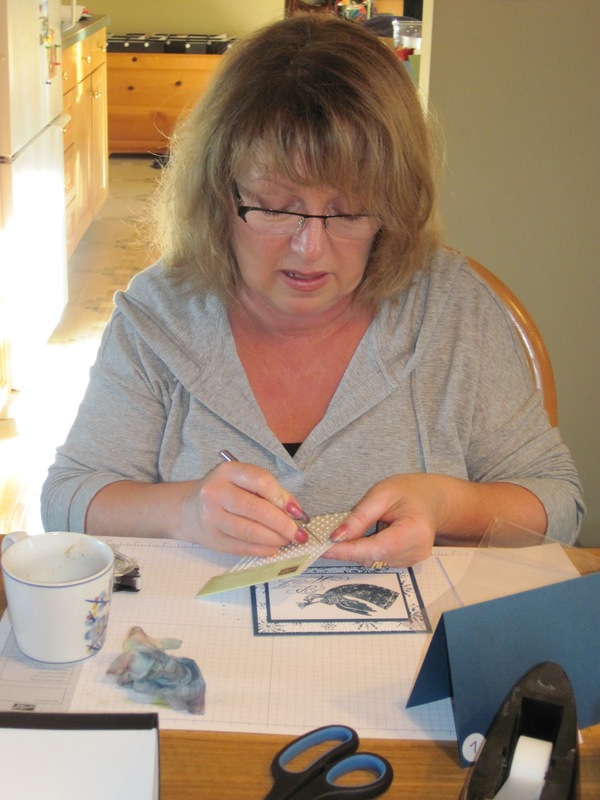 If you choose to make Stampin Up a business, you will have the full support of myself, other demonstrators on our team and Stampin Up to make your business a success in whatever goals you set for yourself. If you choose to just get a discount and keep stamping as a hobby, you will still have the same perks and access to a fabulous network of women (and men) all over the world for inspiration and ideas. There's never any penalty to quit being a demonstrator. If you decide it's not for you, you simply stop ordering. If you're interested, drop me a line and we'll make it happen! And then we got our craft on! Anne, Lucy and Lisa all made piles of cards, my mom popped in and made a few too (including her favorite Rudolph), and there were a few other vistors as well. Brownies and mulled apple cider were enjoyed, so all in all a success! Quote of the day? "It's not worth crying over spilt embossing powder!" Thanks for a great day ladies! Click here to register for the upcoming card buffets in Campbell River and Mission, and contact me if you want to host your own or have any questions! I can't believe it's November already... 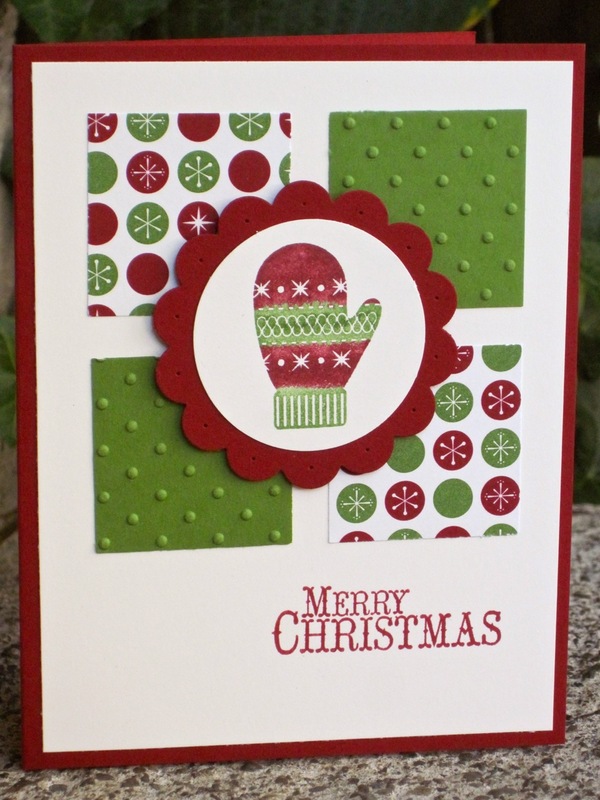 I'm starting to get into Christmas mode, my first Christmas workshop (actually a card buffet) coming up in a week and craft fair just around the corner. 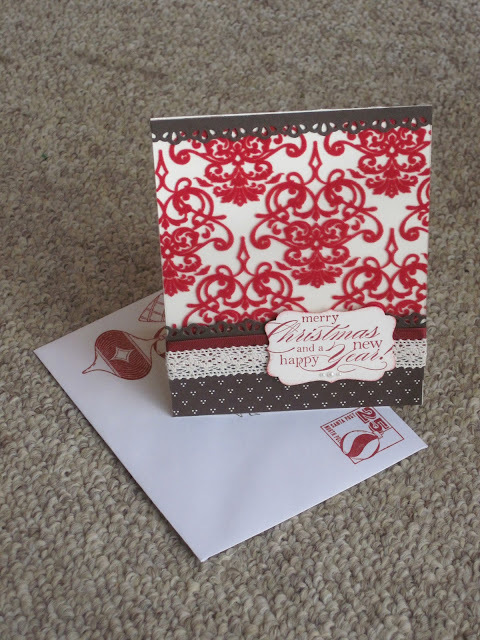 I thought I'd share some of the new (and old) promos Stampin Up is doing as well, get in touch if you have any questions! All of these products and most of the specials are available online as well. 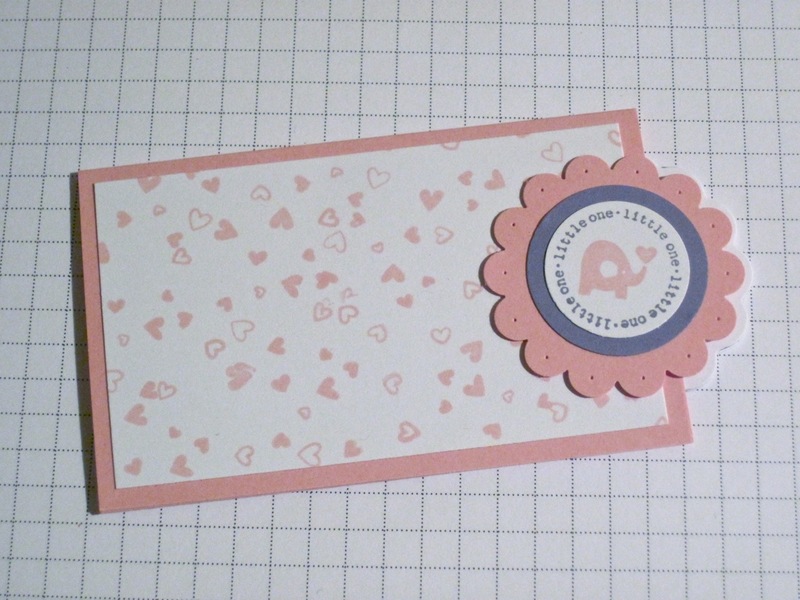 There's a super cute new kit available called the "Fancy Friends" kit. 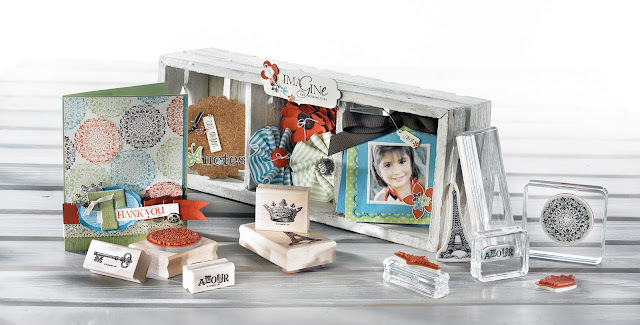 It includes everything you need to make a set of pretty, sparkly cards for your friends, even ink for only $17.95! Sister, I'm thinking this might be a good Christmas present for you? 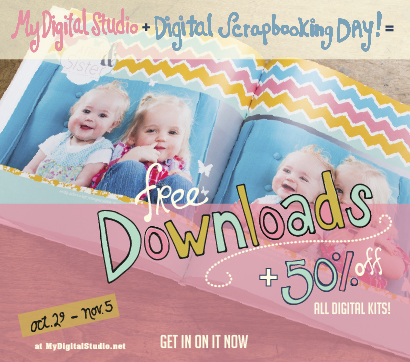 There's also a few days left in the digital scrapbooking promotions, three free downloads and 50% off all the kits. If you don't already have it, My Digital Studio 2 is available, you can even get a 30 day free trial! For the month of November, there's a couple ways you can get a FREE set of the new ink pads. If you haven't used them, they are sooooooo awesome, I love them and will never go back to anything else. 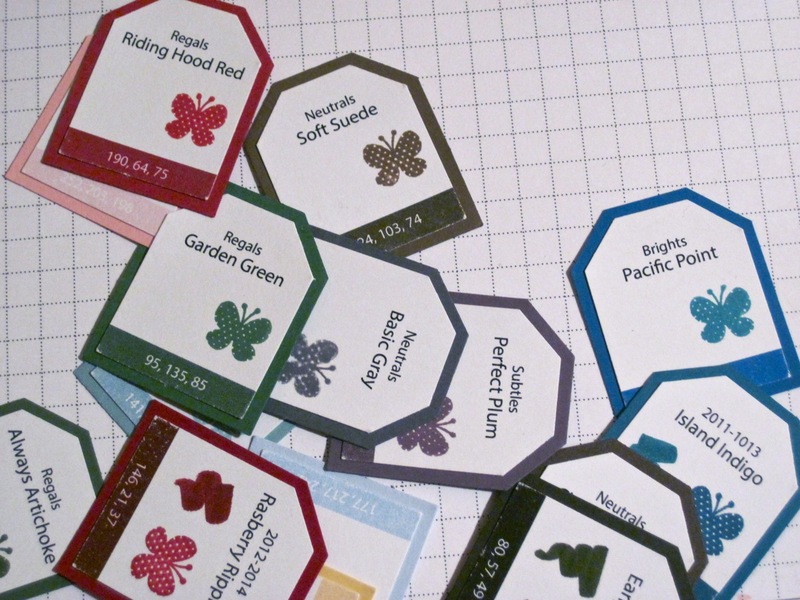 You can pick from your choice of Subtles, Brights and Regals, each with 10 different colours. These are normally $64.95, so that's an awesome deal! The first way is to host a party. Any party with sales of over $200 qualifies the hostess for free and discounted product (as well as some exclusive stamp sets not available any other way). 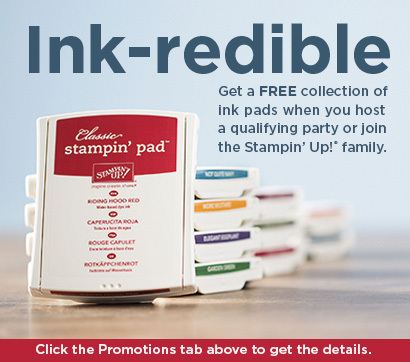 Any party with sales of over $575 the hostess gets a free set of ink pads. You can keep them for yourself, or even share them with your friends if you're the giving type! 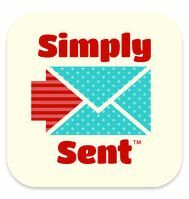 The second way is to sign up as a Stampin Up demonstrator. For $125 you can pick up to $155 worth of product, plus at least 20% off all your future orders. When you sign up during November you'll also get a free set of ink pads. 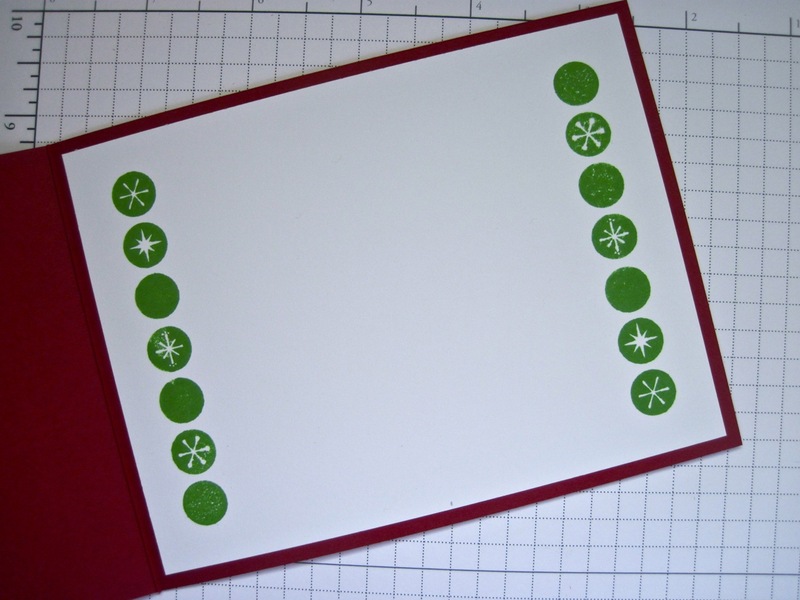 Last but not least, the new Stampin Trimmer is finally available (it's been in the catalogue since it came out, but has been back ordered up until now). I'm following in my lovely upline Angela's footsteps and offering anyone who orders one before Christmas a free pack of 8.5x11 paper of their choice. I missed the boat on pre-ordering one, so I don't have mine yet, but I'm drooling over it! I figured I'd share this on this blog too, I know there's some crafty folk who read it. 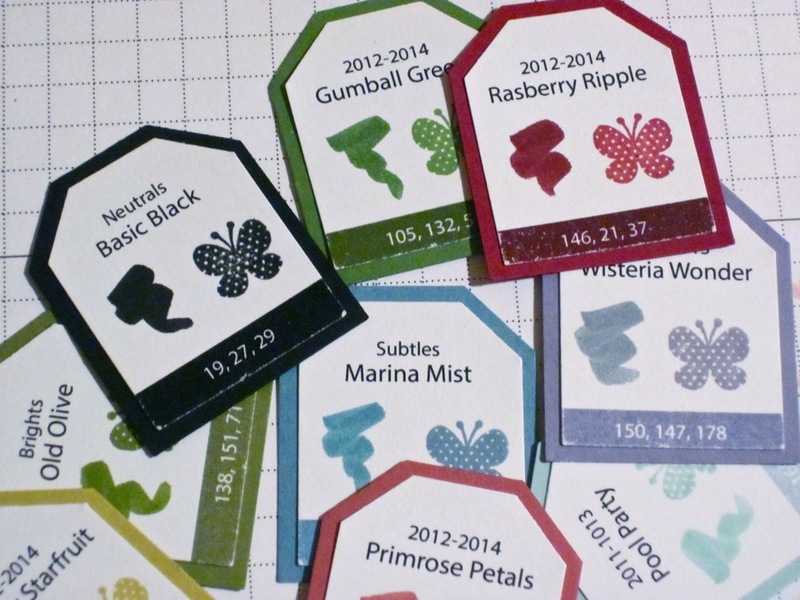 On Monday, October 29th, Stampin Up is offering 15% off nearly all their stamps! I'm going to be putting in an order and can add stuff for you on there, or you can go to my SU! site and order through there (they'll be shipped directly to you). Last but not least, until the end of October, if you purchase the Ornament Keepsake stamps and Candlelit Christmas DSP, you get the coordinating paper piercing pack for free! This is available online or through me, but only until the end of October! Whew! I think that's it for now! There's always tons of stuff happening, and I'll try to keep you posted! Start booking your Christmas Cards! 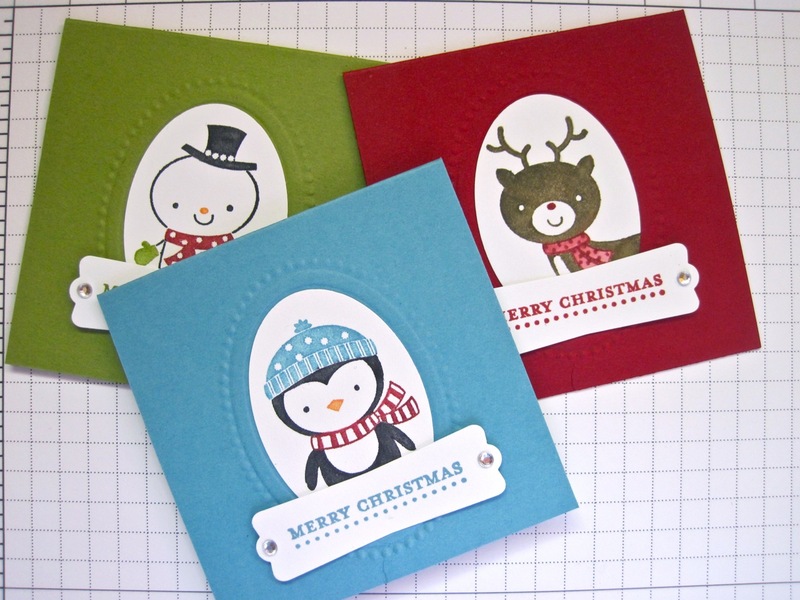 We've confirmed our first Christmas Card Buffet! Holly will be hosting one in Mission on December 1. If you'd like to book a spot for this one, you can do so here. If you'd like to host your own, get in touch with me! 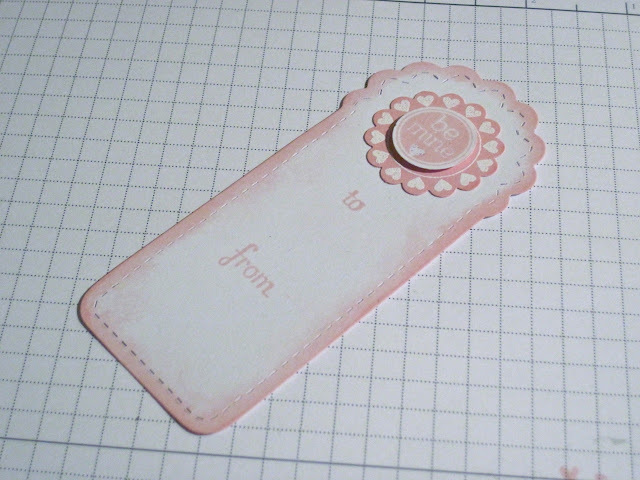 Looking forward to crafting with you! Pick a day to host a drop in event. It can be a few hours or all day, whatever you'd like to do. I bring all the supplies, you can provide coffee and cookies or other snacks. Pick the design(s) of the cards you want to make, and make as many of them as you want! Each buffet is only $20 for up to 8 cards, if you want to make more, you can purchase them for $2.50 each. Way cheaper than at the store! 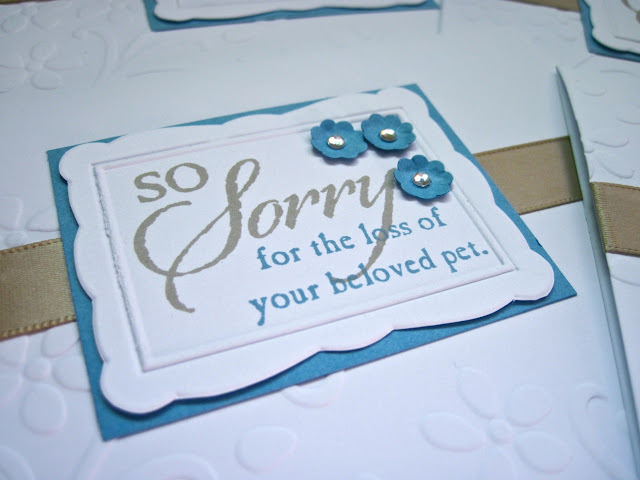 Every card includes all the supplies you need (including options for sentiments and embellishments), an envelope, instructions and help if you need it. Here's a sneak peak at just a few of the many designs you'll be able to choose from. Give me a shout if you'd like to host, or attend, a Christmas card buffet, Christmas is coming fast! 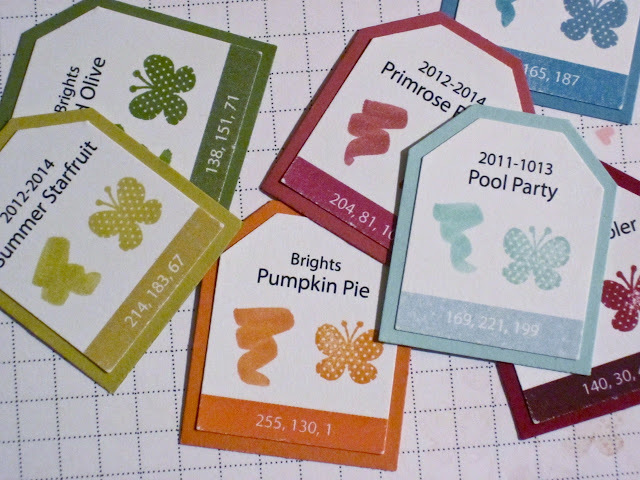 So last week I got a ton of goodies from Stampin Up! Unfortunately I had to leave right away, so it took me a while to get into the swing of things, but once I did, I had so much fun! Gift tags with the Two Tags Die, Fabulous Phrases and A Fitting Occasion stamp sets. Oh, plus a little Dazzling Details! This one uses the hostess set Mixed Medley as well. And some white embossing powder. 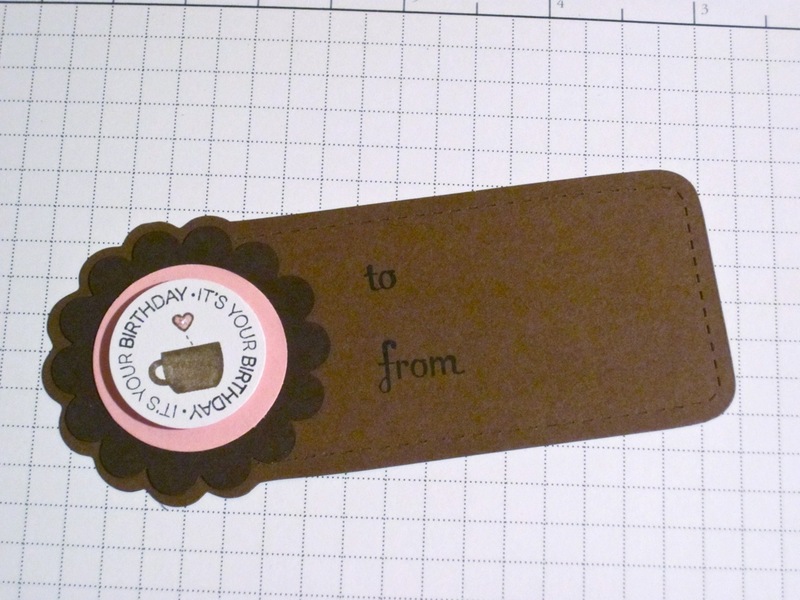 I used the same stamp set, as well as Confetti, to make a gift card holder. 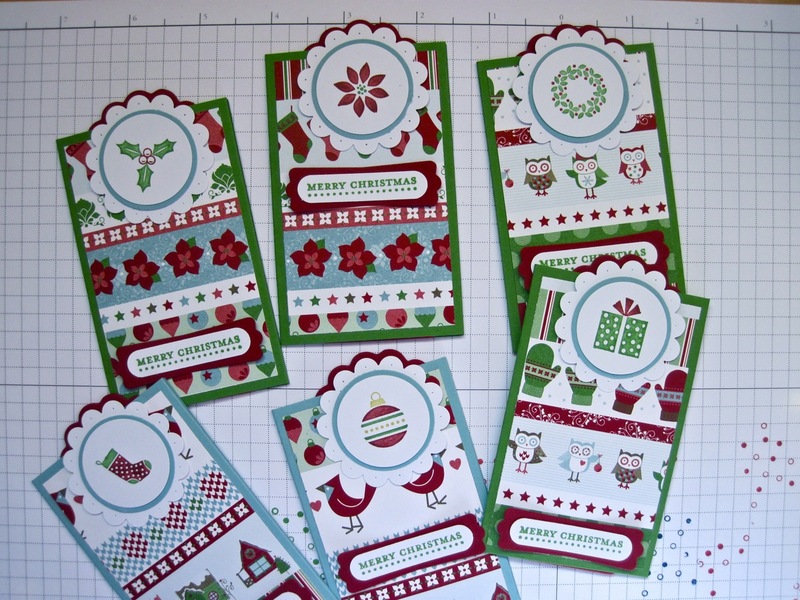 I liked it so much I made some Christmas themed ones as well using Jolly Bingo Bits, Teeny Tiny Wishes, and some of the Snow Festival DSP from the Holiday Mini Catalogue. OK, on to cards! 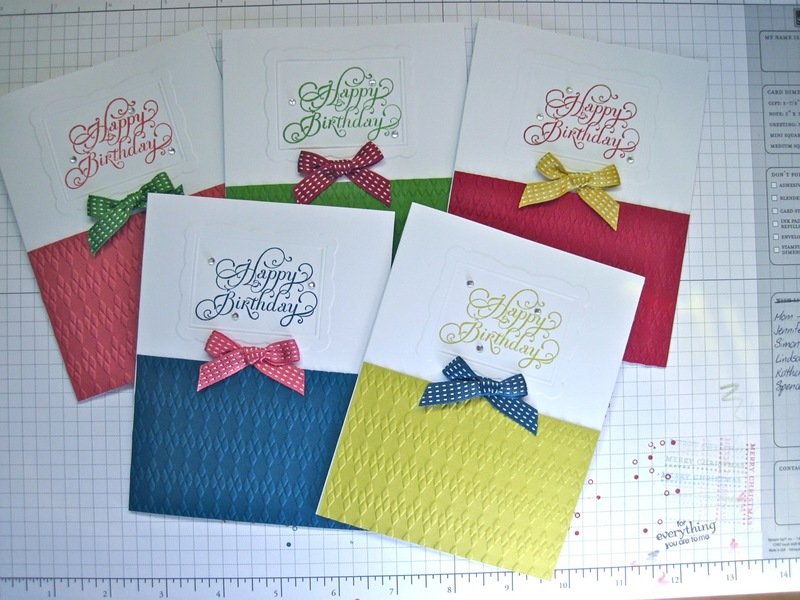 I made a couple of these sets of birthday cards with the 2012-2014 In Colours (and my free "Back to Spool" ribbon!). I looooove the Beautiful Birthday stamp, and the Argyle embossing folder is so lovely! 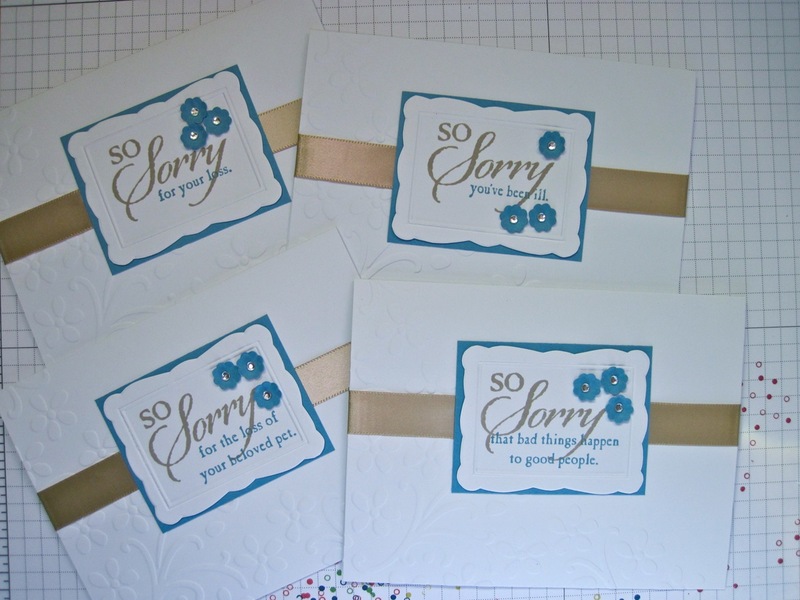 Some sympathy cards with more embossing (Elegant Bouquet and Designer Frames), the So Sorry set and some Itty Bitty Bits punches. 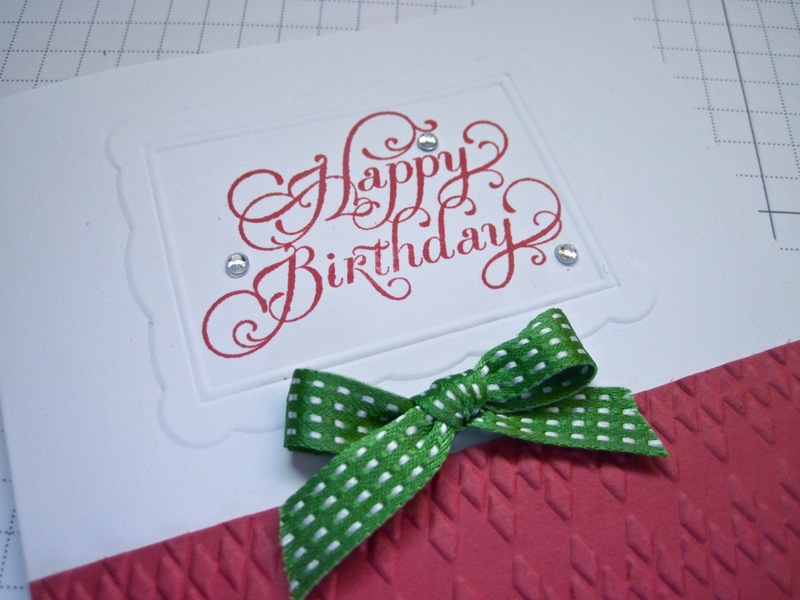 Oh and bling, all cards need bling! Perfect Pennants Punch, Pennant Parade stamps, 2011-2013 In Colours (including Lucky Limade bakers twine I got for free!) 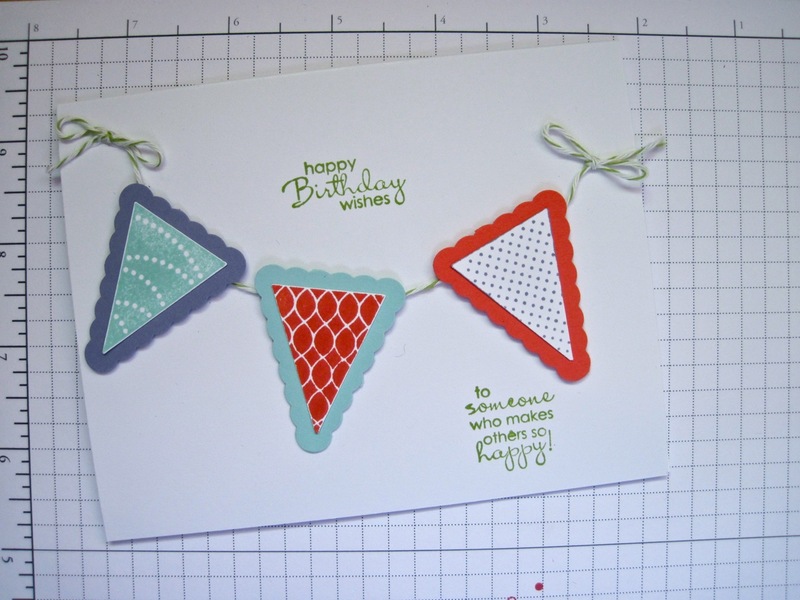 and the Petite Pairs birthday sentiments made this cute card. More Petite Pairs, some more embossing and one of my favourite punches, just for good measure. A Christmas card with Chock Full of Cheer, Perfect Polka Dots embossing and some more Gumball Green ribbon (gotta love free ribbon...). Merry Mini stamps, the coordinating punches, a postage stamp punch and Petite Pairs sentiments make this card I CASEd from... someone... super simple. The cuties from No Peeking made an appearance for these mini-cards... (more Designer Frames embossing folders and Teeny Tiny Wishes too). Finally, I made these cute tags for colour samples. So handy to have! I don't have all the markers yet, so I haven't gotten that on all of them, and am still going to hole punch them to put them on a ring or string or something. The numbers along the bottom are the RGB values so that I can use my computer to make sentiments or graphics if I want (yay for having a graphic design education!). That's all for now! Stay tuned for more crafty goodness!